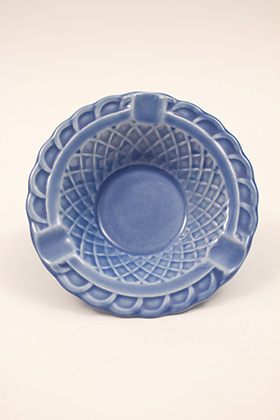 Circa 1939-1951: The vintage fiesta pottery line did have an ashtray, but with the Harlequin line, the Homer Laughlin pottery company went all out, giving us three varieties of ashtrays to enjoy— plain, basketweave and saucer ashtrays. 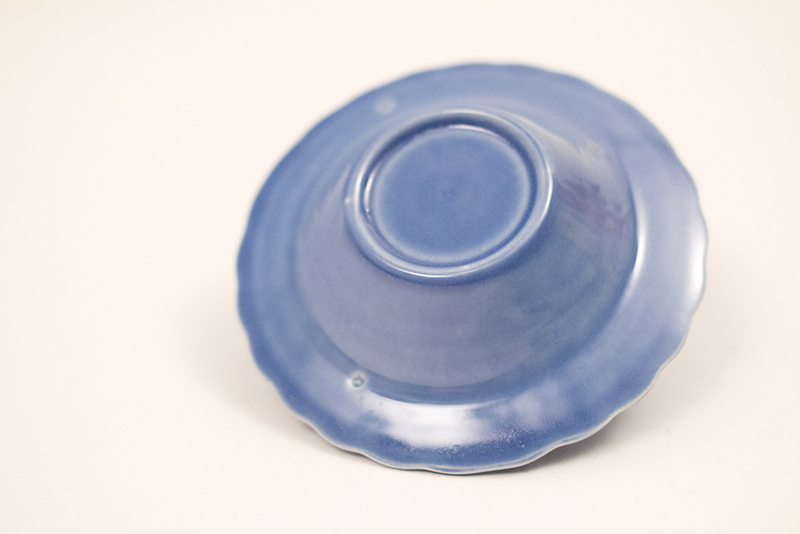 This example in the original Harlequin mauve blue glaze is in spectacular condition without any use or damage. 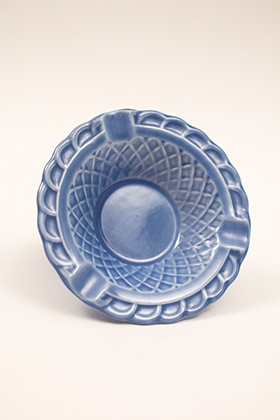 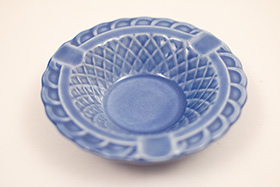 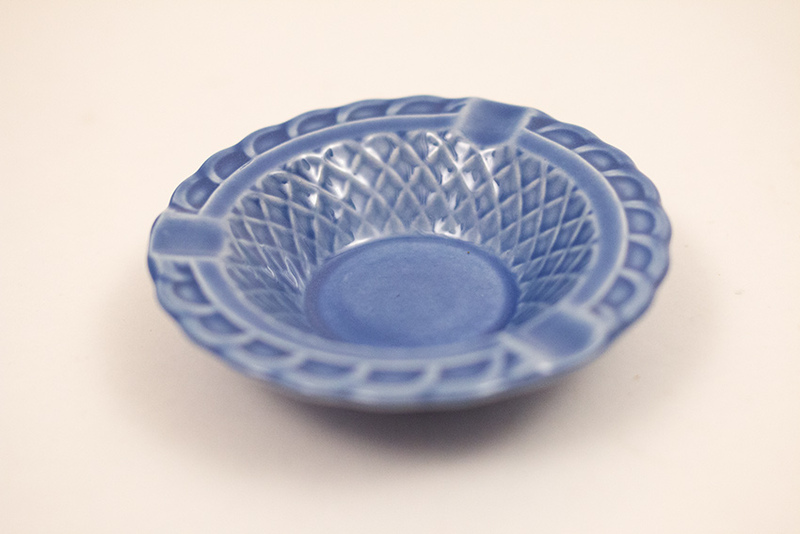 The basketweave ashtray adds texture and dimension to the otherwise art-deco sleak design of the pottery. 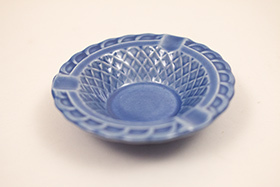 Measures 6 3/16" wide by 1" high.